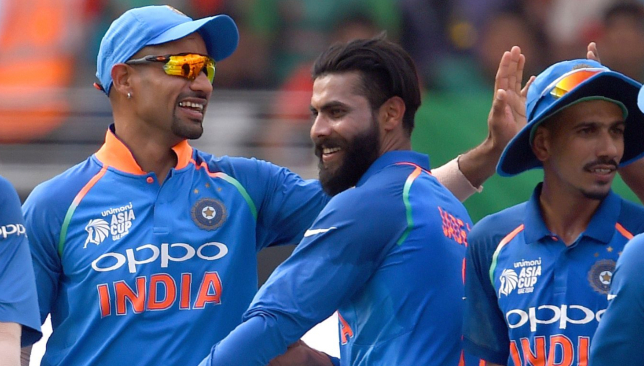 India were at their ruthless best once again as they crushed Bangladesh by seven wickets in their opening match of the Asia Cup Super Four stage in Dubai on Friday. Left-arm spinner Ravindra Jadeja was the star for India as he made a triumphant return to the ODI team, snaring 4-29. He replaced injured all-rounder Hardik Pandya and was used ahead of left-arm wrist spinner Kuldeep Yadav. He proved his worth by taking top wickets of Shakib Al Hasan, Mushfiqur Rahim and Mohammad Mithun. The target of 173 didn’t trouble the Indians one bit as captain Rohit Sharma (83) slammed his second successive fifty to secure win in 36.2 overs. Ravindra Jadeja (c) picked up four wickets. Under pressure Tottenham manager Mauricio Pochettino has dismissed claims his players are tired and are being over-worked. Spurs are in the midst of a three-game losing streak, having been beaten by Watford, Liverpool and Inter Milan, and there have been suggestions they are jaded, with Harry Kane being the subject of particular scrutiny. 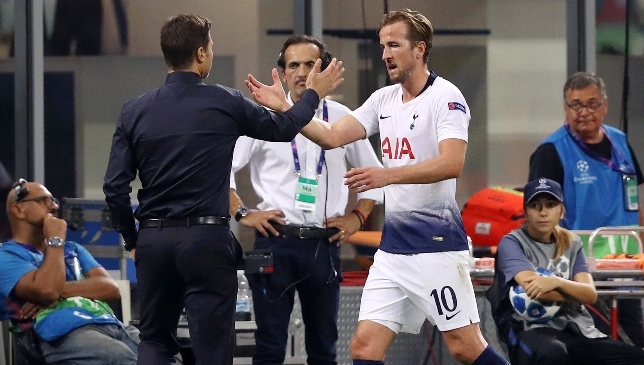 Kane was one of nine men in their squad that were in Russia for the entirety of the World Cup and only returned to pre-season training a week before the Premier League kicked off. Harry Kane has struggled for form and fitness this term. India weren’t the only cricketing super power in action yesterday with Pakistan also taking on rising force Afghanistan. 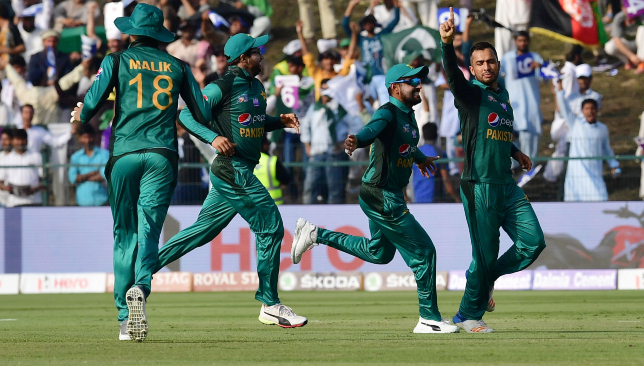 Shoaib Malik stole the show with an unbeaten 51 as Pakistan won by three wickets in their Super Four stage at the Asia Cup. Batting first, Afghanistan posted a score of 257 in Abu Dhabi thanks to big scores from Asghar Afghan (66) and Hashmatullah Shahidi (97*) as Pakistani youngster Shaheen Afridi took two wickets on his ODI debut. In reply, Imam Ul-Haq top-scored with 80 but Afghanistan got themselves back into the game with a flurry of wickets before Malik with two back-to-back boundaries in the last over to seal victory. 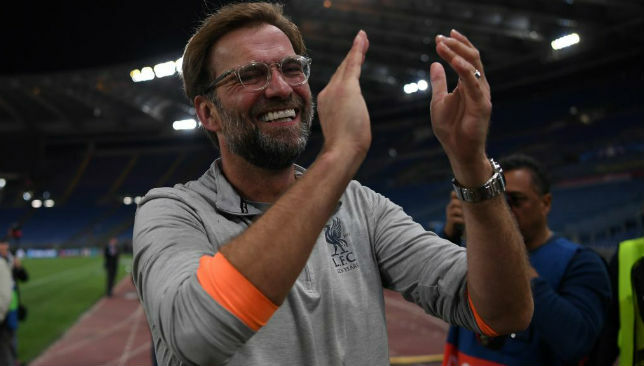 Liverpool host Southampton on Saturday in the Premier League and, as well as giving the Reds the chance to win the opening seven games of the season for the first time in their history, it also marks Jurgen Klopp’s 600th competitive game as manager, not counting his early days at the Frankfurt Under 10s of course. It’s been a remarkable rise for the Stuttgart-born former Mainz striker, and latterly a defender. Alex Broun takes a look at what makes Klopp tick HERE. Look out! @DjokerNole is late on the forehand and hits @rogerfederer in the 🍑. In his first ODI since July 2017, Jadeja returned a brilliant 4/29 against 🇧🇩 in the #AsiaCup. Shoaib Malik stole the show with an unbeaten 51 as Pakistan beat Afghanistan by three wickets in their Super Four stage at the Asia Cup. We all know Afghanistan can produce the goods with the ball especially with the likes of Rashid Khan and Mujeeb Ur-Rahman in their ranks. But in this Asia Cup, the Afghans are proving it’s not just with the ball where they can make an impact. The way they reached 257 was even more impressive considering they were only 94-3 at the half-way mark. But the Afghans managed stands of 63, 94 and 45 to propel their score. Hashmattulah Shahidi was integral with an unbeaten 97 but captain Asghar Afghan, who isn’t the most aggressive batsman when it comes to ODI cricket, unleashed his attacking mode with a 56-ball 67 to register his best strike-rate. Mickey Arthur will certainly have a selection dilemma ahead of the India match given how impressive Nawaz and Afridi bowled in the UAE capital. Both were given a chance to prove their worth and ultimately they delivered in style. 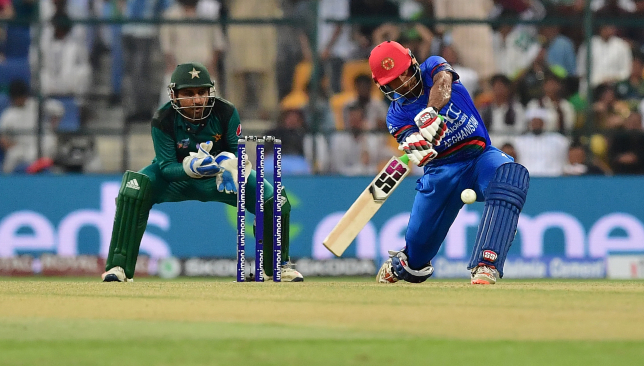 Left-arm orthodox Nawaz, featuring in his first Asia Cup match in the UAE, set the ball rolling when he troubled Afghanistan’s top-three batsmen to finish with three wickets. At the other end, Afridi showed no signs of nerves to produce a strong display and frustrate the Afghans. Dropped three times, Afridi’s patience was rewarded when he dismissed Afghan and Mohammad Nabi. 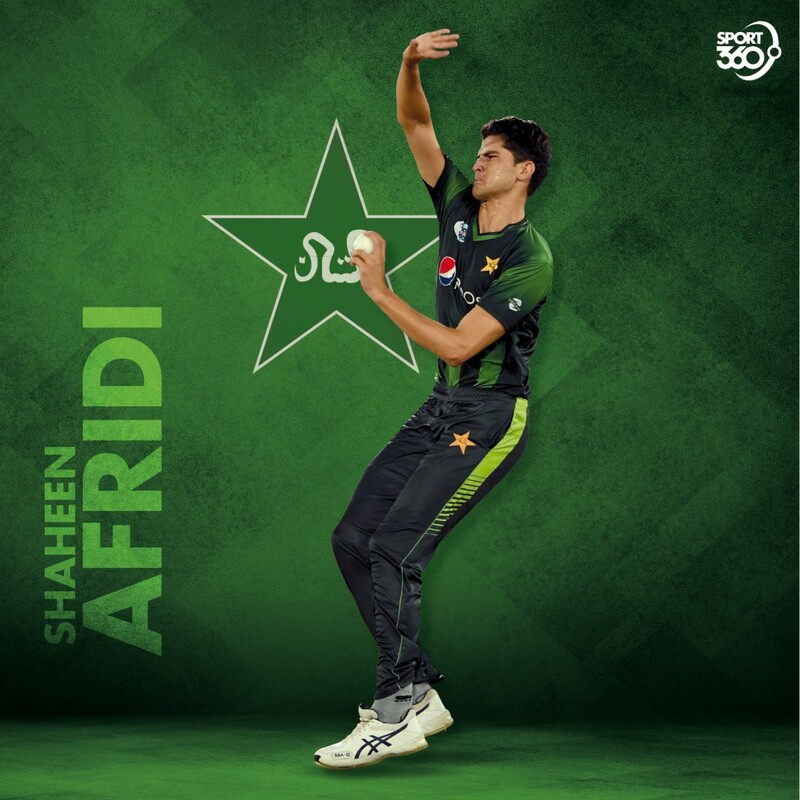 Shaheen Shah Afridi (18 years and 168 days) is Pakistan's youngest ODI debutant since 17-year old Mohammad Amir in 2009. With all the bowling quality they possess, they might have claimed seven wickets but Mujeeb Ur-Rehman (3), Aftab Alam (3), Mohammad Nabi (1), Guldabin Naib (3) and Rashid Khan (2) were all guilty of wide deliveries with 12 in total. To put that into perspective, only three were conceded against Bangladesh on Thursday evening. The opening batsman arrived in the UAE as the man in form following his heroics in the 5-0 series whitewash against Zimbabwe. The 28-year-old struck a double century and a ton in those five games but in this tournament, he has been a shadow of that player. His duck against India on Wednesday was his first in 18 innings and again didn’t get off the mark on Friday. He didn’t have time to even settle into the crease when Mujeeb Ur-Rahman trapped him lbw. Testing times ahead for the batsman and major concern for Pakistan. 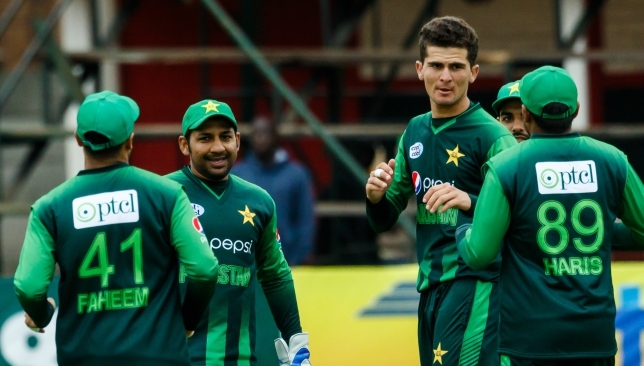 7.1 – CHANCE: Shaheen Afridi thought he had his first ODI wicket when Ihsanullah clipped it straight to Fakhar Zaman at mid-on. Was an easy catch but the Pakistani let the ball slip out of his left-hand. 7.2 – CHANCE: Ihsanullah survives again. This time, Usman Khan is the culprit. A top-edge falls directly to the Pakistani, who dived in at fine leg but couldn’t gather the ball comfortably. 8.6 – WICKET: Pakistan get their first wicket of the day and it is Mohammad Nawaz who breaks the opening stand. 25.3 – WICKET: It’s that man again. Nawaz breaks the 63-run stand to take his third wicket. The impressive Rahmat Shah is his victim and exactly the same method as his second – caught and bowled. 39.5 – FIFTY: Hashmatullah Shahidi brings up his half-century with a single off Shaheen Afridi. 39.6 – FIFTY: Another milestone for Afghanistan with captain Asghar Afghan flicking Afridi for two for his eighth ODI fifty. 41.5 – WICKET: Just after being dropped for the third time, Afridi finally gets his reward, rattling the stumps of Asghar Afghan. 0.6 – WICKET: Mujeeb Ur-Rehman gave Afghanistan plenty to cheer when the spinner trapped Fakhar Zaman LBW. 24.3 – FIFTY: Imam Ul-Haq hits two runs to fine leg to bring up a superb half-century – his second of the tournament. 27.3 – FIFTY: It’s Babar Azam’s turn to celebrate a milestone, clipping the ball from Mohammad Nabi past mid-wicket. 35.1 – WICKET: Azam steps forward, attempting a drive off Rashid but his back leg drags out, presenting a stumping chance for Mohammad Shahzad. 41.1 – WICKET: Done by a googly from Mujeeb with an easy chance for Ihsanullah Janat. 44.6 – WICKET: Sarfraz is next to go, playing a risky shot only to miss Gulbadin Naib’s delivery completely. 49.3: FIFTY – Shoaib Malik completes the job with a stylish boundary to seal victory. 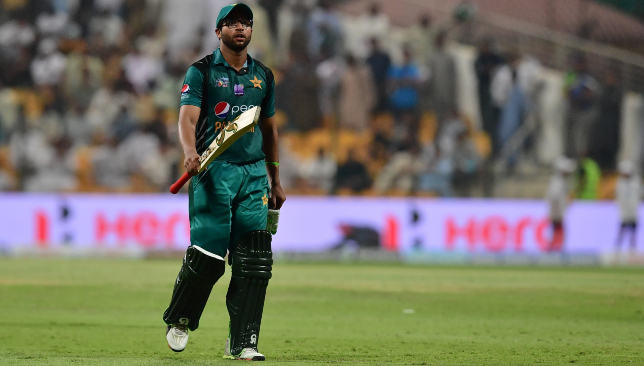 After losing Fakhar Zaman for a duck, the 154-run stand between Babar Azam and Imam Ul-Haq set the platform for victory. In particular, Imam came in for strong criticism against the Indians but the 22-year-old silenced his critics with a solid 80. Along with the experienced and No3-ranked batsman Babar Azam, the pair frustrated Rashid Khan and Co for long periods before Imam was ultimately run-out. There was still a lot of work to do but if it wasn’t for that fantastic partnership, it could have been so different for Pakistan. Playing two back-to-back ODI games is a big task for any side but Afghanistan showed no signs of fatigue on Friday. Their batting clicked and while they were frustrated in periods with the ball, made things tough for Pakistan. A perfect response from the 2017 Champions Trophy winners. Even though they battled to their target, three dropped catches and the form of some of their batsmen will be a concern going forward. The wait for an ODI cap was finally over for Shaheen Afridi as the 18-year-old pacer made his debut against Afghanistan in the Asia Cup Super Four clash on Friday. Afridi was given his cap by Pakistan’s bowling coach Azhar Mahmood prior to the game at the Sheikh Zayed Stadium in Abu Dhabi and it was a debut to remember as the youngster claimed two wickets. However, it should have been more had it not been for dropped opportunities from his team-mates. He didn’t have to wait long to show what he can do with Sarfraz Ahmed giving him the ball in just the second over. Bowled full and straight, offering just two runs in his opening spell. The teenager continued to keep the batsmen quiet, giving away four runs in his next 12 deliveries. Even under pressure, he kept his cool and although he was dropped thrice by Fakhar Zaman, Usman Khan and Haris Sohail, was rewarded with the important wicket of Asghar Afghan. Struck again to remove Mohammad Nabi. With three T20Is and PSL experience under his belt, Afridi wasn’t fazed by the pressure and that showed whenever he had the ball. Bowled a variation of deliveries that troubled the Afghanistani batsmen with excellent length and bounce. That forced Afghanistan batsmen to play defensively during that spell, rather than attacking the pacer. The pressure was on in the last 10 overs of the innings but even after he was smashed for a six by Afghan, he stuck to his guns. There’s not much you can fault from the young pacer. He kept to his strengths and delivered, and while he beared the pain of crucial boundaries from Asghar Afghan and Mohammad Nabi towards the end of the innings, ultimately he had the final say with their dismissals. As far as debuts are concerned, it was a dream start for the left-arm pacer, who should be pleased with how he fared in the UAE capital. Was consistent with the ball and the fact that he conceded just three boundaries tells you everything you need to know. Given his age and potential, he will surely add to his ODI cap tally and possibly a selection dilemma for Mickey Arthur ahead of the crunch game against arch rivals India on Sunday.